Another epic day cycling near Annecy. Today we headed south from our flat to tackle Mt. Revard, the Col des Pres, and the Col de Leschaux (from the other side). Unfortunately it was quite cloudy (so we didn't get too many photos) but we did ride 72 miles and climbed 8,200 vertical feet. I felt much better than two days ago on the Col du Galibier but I still could have used at least one more gear. After climbing to the top of the ski station at Mt. Revard we stopped for what is my mid-ride meal of choice, ham and mushroom pizza. 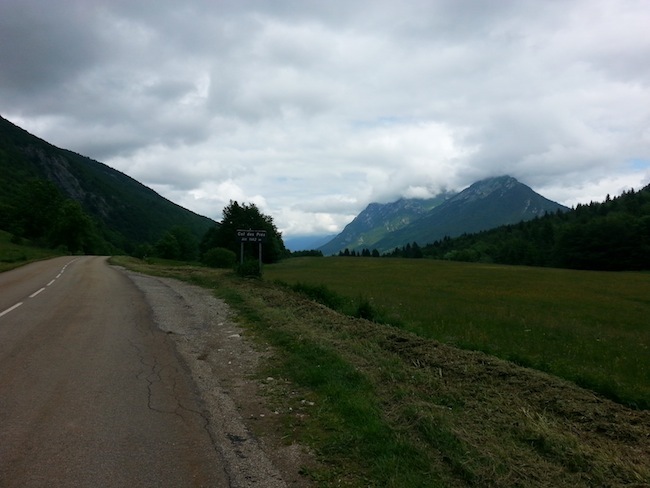 We then descended in a cold mist to the base of the Col des Pres, and then tackled that steep but not too long pass. Here's the summit of the Col des Pres looking towards a glacier-carved valley we're about to descend into. 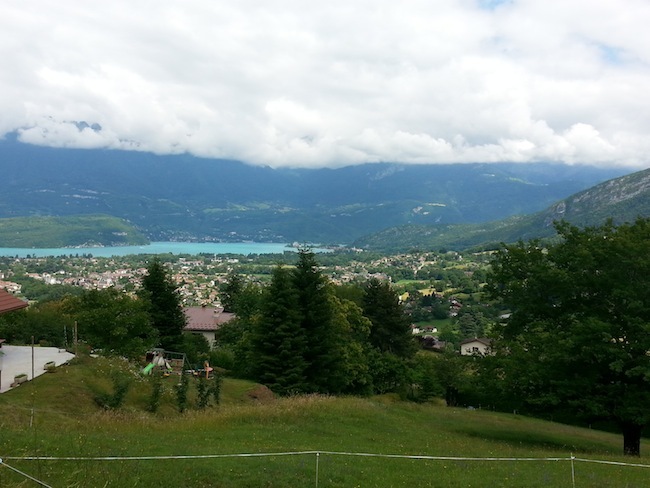 After descending from the Col des Pres we climbed the back side of the Col de Leschaux; I stopped on the descent and snapped this photo of Lake Annecy. Here's my computer data for the day. As you can see my maximum speed was a disappointing 45.4 mph. Happy 4th of July! Au revoir for now.